South Queensferry - the Ferry, it is called by those who live there - sits on the southern shore of the River Forth. The main part of the town nestles between the approaches to the road bridge across the river and that crossing's much older and more famous neighbour, the Forth Rail Bridge. In this collection of short stories, the author recalls the years he spent working as a barman in the Ferry. They were his "lost" years, the period between leaving school and finding a proper job, a career and a family. But they were also his formative years; a time rich in colour and character and event, a time he'll never forget. Join him now as he re-lives that time. Journey with him from the glitz and glamour of the Swinging Sixties, through the innocent hedonism of the Summer of Love and onwards into the dark winter of 1970. Log In to track Brendan Gisby on eReaderIQ. 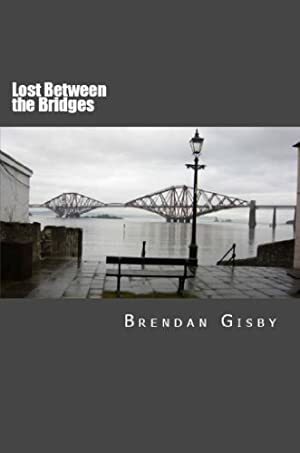 to be notified each time the price drops on any book by Brendan Gisby. to stop tracking Brendan Gisby. We started tracking this book on April 4, 2013. This book was $0.99 when we started tracking it. The price of this book has changed 46 times in the past 2,208 days. The current price of this book is $0.99 last checked 11 hours ago. The lowest price to date was FREE last reached on January 26, 2019. This book has been FREE 23 times since we started tracking it. The highest price to date was $0.99 last reached on January 28, 2019. This book has been $0.99 24 times since we started tracking it. We last verified the price of this book about 11 hours ago. At that time, the price was $0.99. This price is subject to change. The price displayed on the Amazon.com website at the time of purchase is the price you will pay for this book. Please confirm the price before making any purchases.